Thoor Ballylee has been affected by recent flooding, but is structurally sound and will be opening as scheduled again in the spring, representatives from the Yeats Thoor Ballylee Society have confirmed this weekend. Over the weekend Storm Desmond hit the west coast of Ireland with considerable force, winds gusting at over 70 miles per hour (118 kph), causing power outages and bringing with it severely heavy rainfall. With the coastline battered by stormy weather, standing water appeared on many roads, and rivers and streams across County Galway are running unusually high. Streamstown River, which passes Yeats’s tower at its foot, burst its banks and water flowed down the road. Members of Yeats Thoor Ballylee were quickly on the scene to inspect the situation. 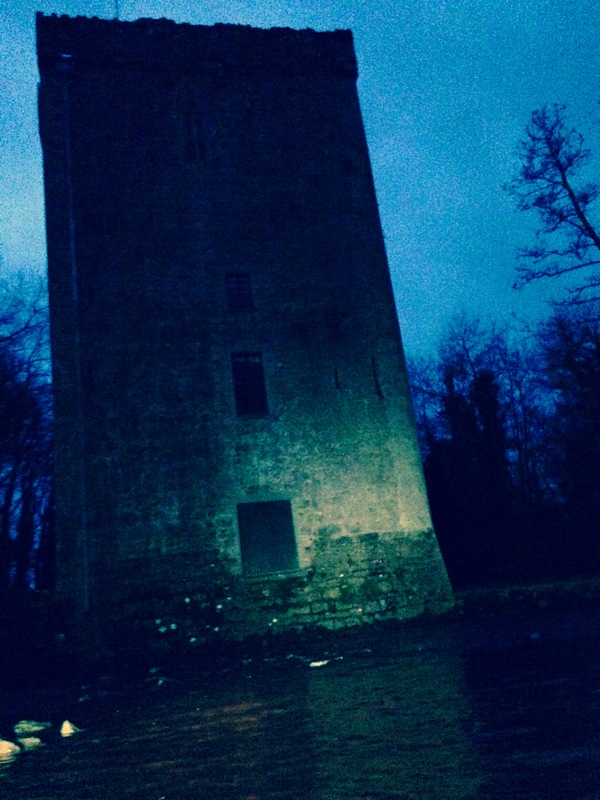 However the tower has suffered no long-term damage, and will open as scheduled in the spring, say representatives from the Yeats Thoor Ballylee Society, who opened the tower for the first time in many years this summer. Having stood for six hundred years, the tower has been repeatedly surveyed and found to be structurally sound, even in the event of flooding, not uncommon in this part of the county. It had already been cleared out ready for winter, and no long-term damage to goods or interior is expected. A flood action plan ensures that, while there is a considerable clearing-out job to be done, and continued support and volunteers for this vital, there is every expectation that the tower’s planned spring opening will not be affected. Yeats Thoor Ballylee Society is a voluntary organization who have taken on the running of Yeats’s tower using local resources and local volunteers. Thoor Ballylee opened for the first time in many years for Yeats2015, and hosted a number of cultural events, climaxing in the Harp and Moon Festival with Caitriona Yeats, granddaughter of the Nobel Prize-winning poet. There is a full programme of events in the pipeline for next year, and a long-term plan for its permanent restoration and re-opening. Thoor Ballylee relies on external donations to fund its work with what Seamus Heaney called ‘the most important public building in Ireland.’ To find out how you can help, follow this link.